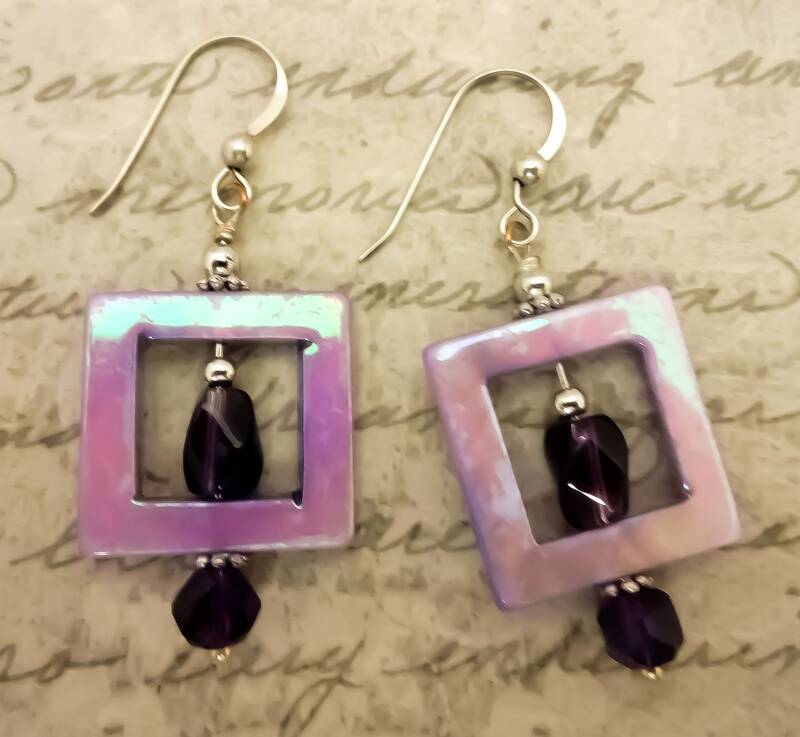 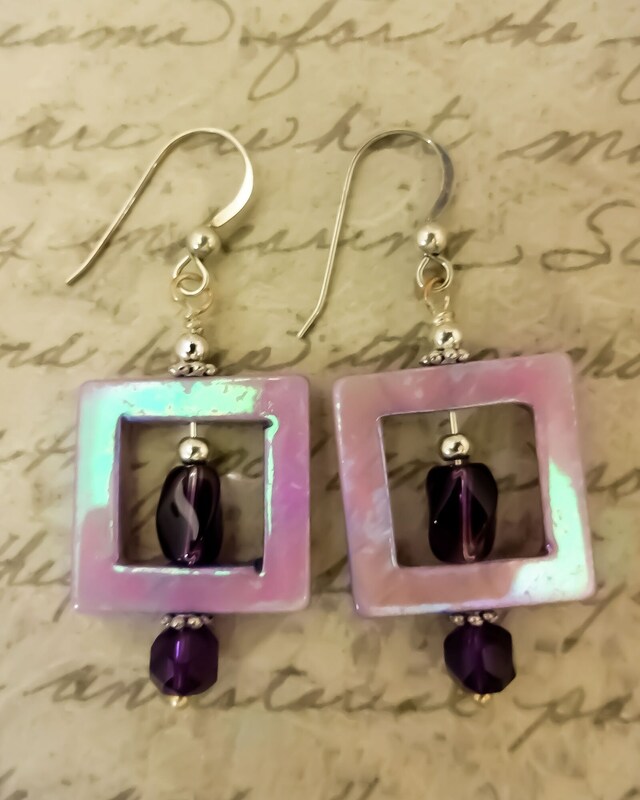 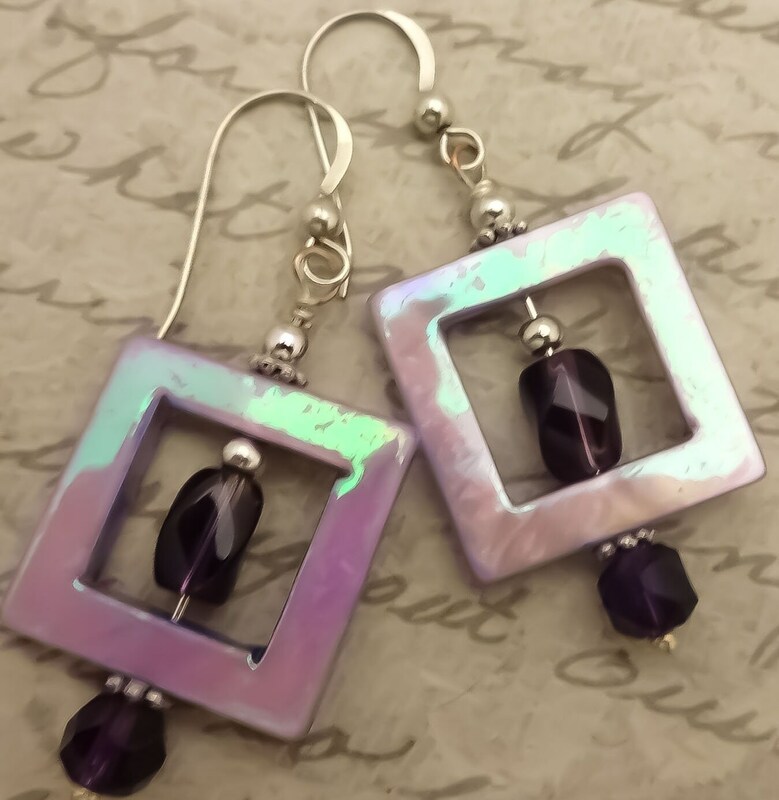 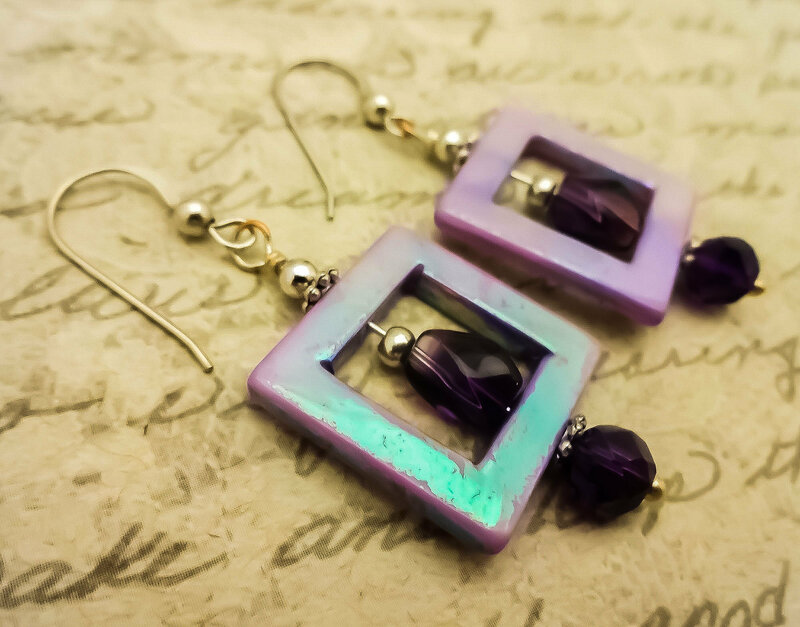 Dark Amethyst swirls with a silver spacer bead peek out from the middle of lavender squares of Mother of Pearl. 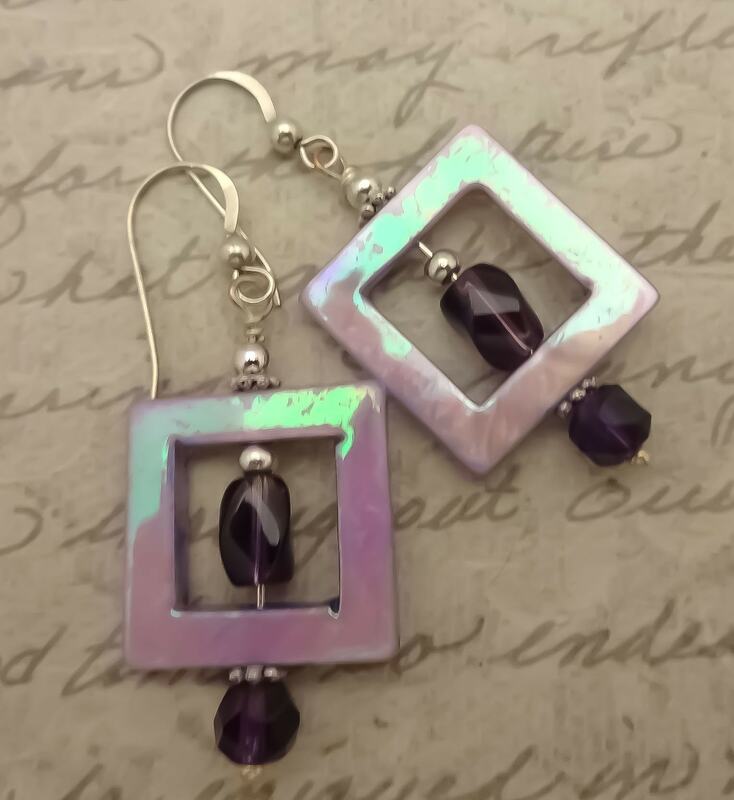 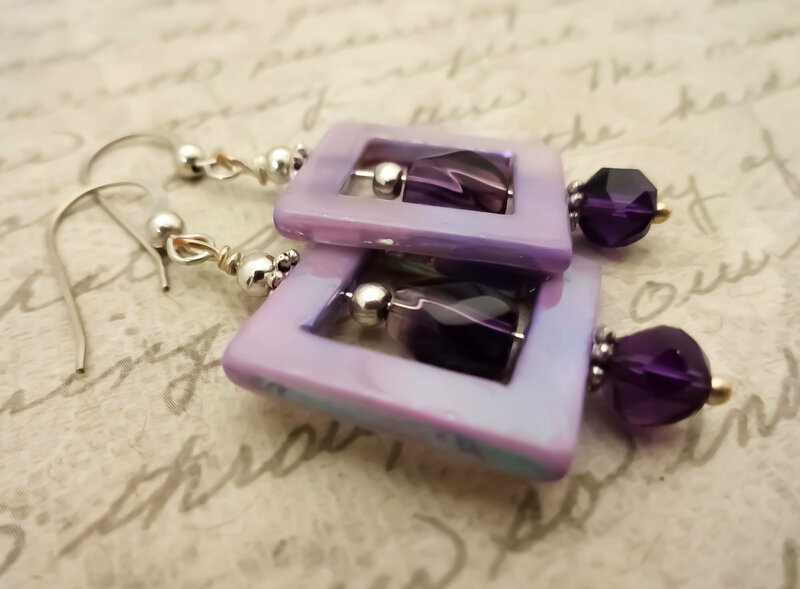 Nestled underneath the squares are faceted 6mm Amethyst rounds. 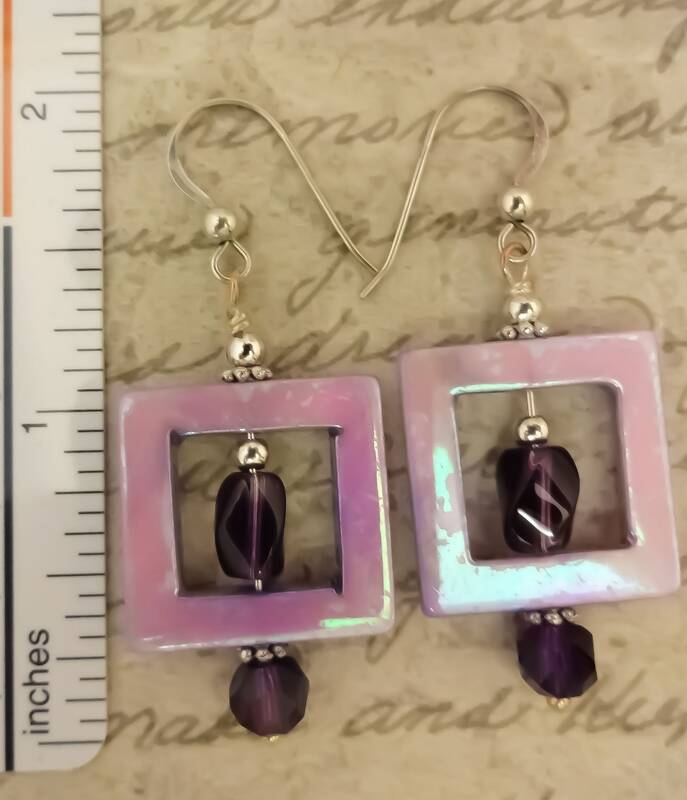 Quality stones with lots of Sterling Silver accent beads. 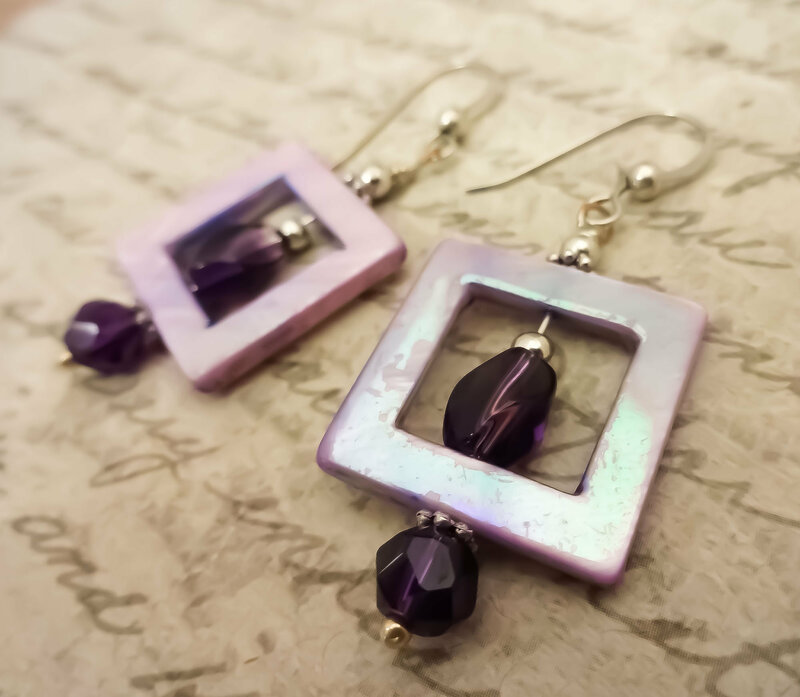 Amethyst is the birthstone for February and Ultra Violet is the Pantone Color of the Year for 2018!